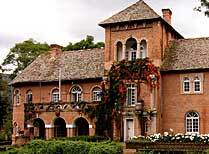 Shiwa Ngandu is an amazing renovated colonial building set in a large, private farming estate in Northern Zambia. 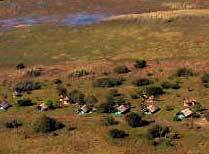 Shoebill Camp is situated in the remote Bangweulu Wetlands and is a paradise for bird and game watchers with an abundance of wildlife. 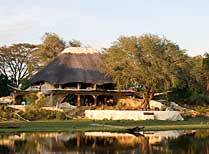 Busanga is a mid-range canvas camp in the heart of the game rich plains area in northern Kafue. 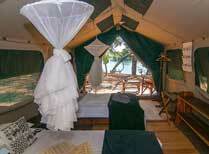 A classic tented camp on a palm island in the game rich Busanga Plains region. 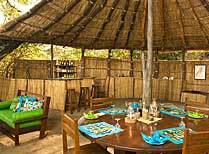 Konkamoya is a small lodge on the shores of Lake Itezhi-Tezhi in Kafue National Park offering game drives, walks and elephant interaction. 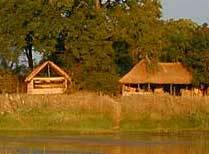 Mayukuyuku Camp is a lovely rustic tented camp on the river bank in central - north Kafue. 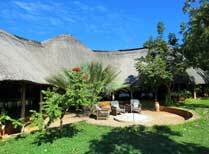 A centrally located lodge deep in Kafue National Park with sweeping views of the flowing Kafue River. 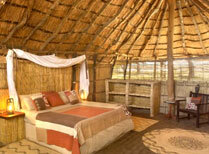 Nanzhila Plains Camp is a luxury small camp on the edge of a lagoon in the far south of Kafue. 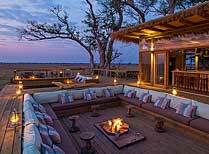 A stylish luxury camp with just 6 guest villas in a remote and pristine setting, successfully combining safari activities and relaxation. 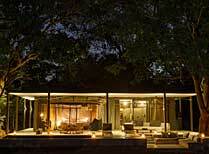 A luxury modern lodge on the Zambezi near Victoria Falls. 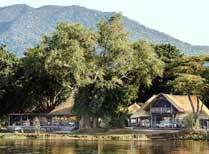 A beautiful luxury lodge in a remote setting on the waters of the Zambezi. 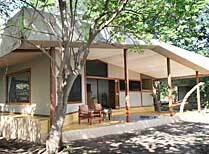 Maramba River Lodge - a good value lodge near the world-famous Victoria Falls. 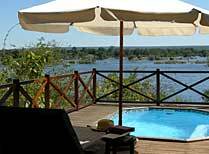 River Club is a luxury lodge with 10 ensuite chalets located on the banks of the Zambezi River some 18kms upstream from Victoria Falls. 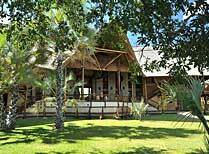 Exclusive lodge bordering Mosi-oa-Tunya NP, with 10 private cottages. 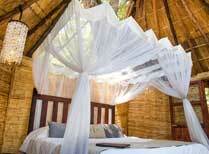 Luxury accommodation in bush setting on the Zambezi River in tree houses or self contained houses. 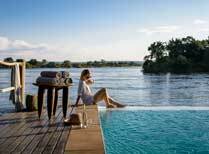 Relax in style by the Zambezi River between safaris and visits to Victoria Falls. 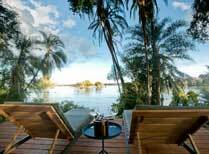 A luxury river and island lodge on the Zambezi river. A great base for Victoria Falls. 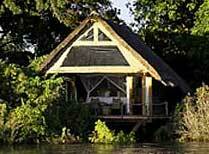 A lovely small rustic lodge on the banks of the Zambezi, not far from Victoria Falls. 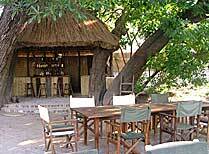 A small bush camp in the heart of the southern part of Luangwa in great walking country. 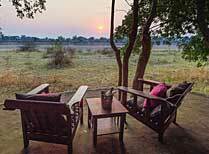 Buffalo Camp is in a remote setting in North Luangwa National Park. 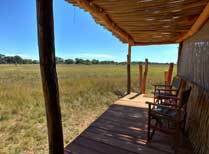 Game viewing is generally in the form of guided walks. 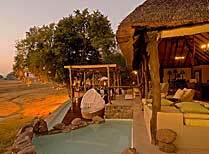 Chamilandu camp enjoys a pristine riverside location in the Luangwa Valley, with views across to the Nchindeni Hills in great walking country. 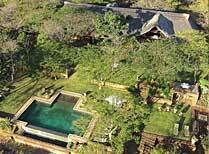 A former presidential retreat on a hill in South Luangwa with luxurious lodge style accommodation. 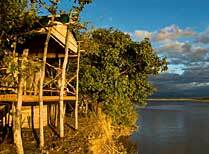 Chikoko Tree Camp is a remote bushcamp accessible only on foot - an ideal base for those wishing to escape the restrictions of driving. 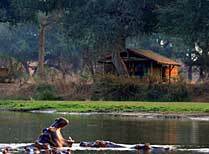 A small, secluded camp by a lagoon in South Luangwa. Walking safaris, day and night drives. 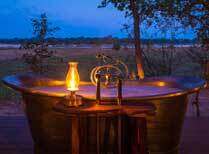 Chinzombo Camp is a high luxury addition to the Norman Camp Safaris portfolio and is open all year round. 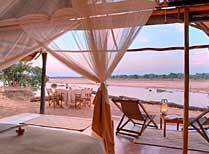 Crocodile River Camp is a remote bushcamp which can be reached only on foot in the heart of Luangwa. 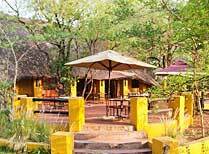 A great value camp to use as a base for game viewing in South Luangwa National Park. 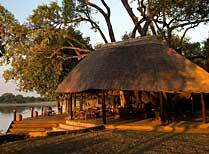 Island Bush Camp is a small camp set in a remote, game-rich part of the South Luangwa National Park. 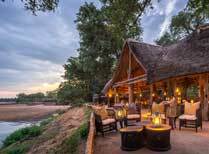 This is an owner-run safari lodge overlooking South Luangwa National Park offering all the creature comforts and excellent value for money. 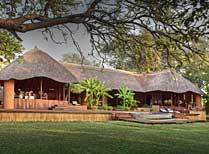 Shenton's excellent camp in South Luangwa. Hides near the camp make it great for photographers. 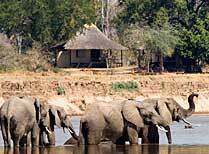 Kakuli Camp is a 4-tent camp set on the confluence of the Luwi and Luangwa Rivers in South Luangwa National Park. 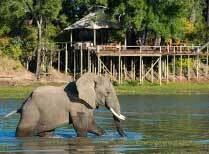 Kapani Lodge is a luxury lodge set by a large lagoon near Mfuwe by South Luangwa, and is the base lodge of Norman Carr Safaris. 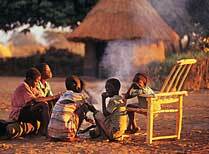 A unique community run village stay project offering tourists the opportunity to really get to know the way rural Zambians live. 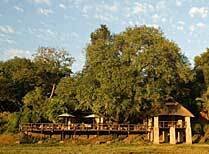 A lovely rustic bush camp in the heart of South Luangwa. 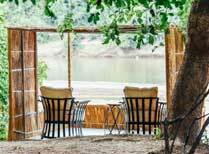 Luangwa River Camp is an exclusive boutique style lodge on the banks of Luangwa River. 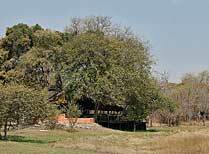 A private house in South Luangwa National Park. Perfect for families or groups of friends. 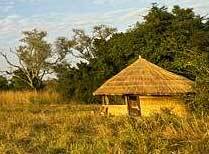 Luwi is a small, remote bush camp in South Luangwa. Mainly for walking safaris. 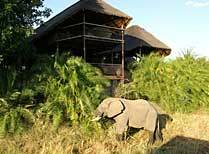 Mchenja Bush Camp, located on the banks of the Luangwa River, is a small camp offering game and walking safaris in South Luangwa National Park. 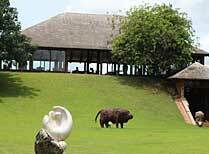 Mfuwe Lodge has 18 luxury en-suite chalets all overlooking a lagoon with plentiful wildlife by day and night. 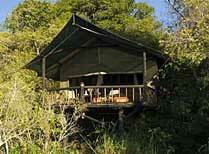 A small camp in a secluded spot in North Luangwa National Park. 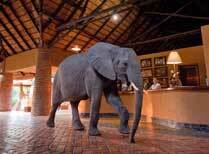 Game viewing is on foot only. 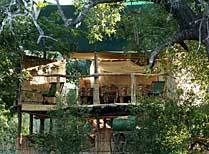 Mwamba Bush Camp consists of just 3 en-suite chalets set amongts a grove of ebony trees, overlooking the Mwamba River. 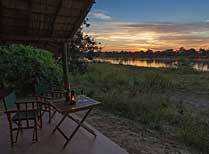 A rustic luxury camp on the banks of the Luangwa river with superb guiding and hosting. 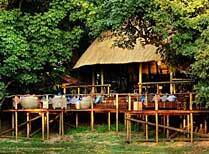 Nsefu is the oldest camp in South Luangwa and has a great riverside location. 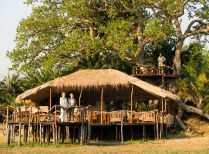 Nsolo Camp is a small bushcamp in the Luangwa Valley, offering an intimate atmosphere and excellent game viewing by walking safaris and game drives. 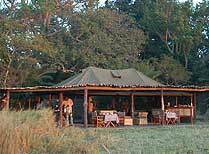 Puku Ridge Camp is a small camp offering personal service and great game viewing opportunities in South Luangwa. 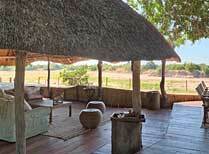 A small, remote camp at South Luangwa, family-run with comfortable rooms and excellent game viewing. 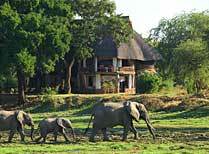 A great value lodge on the banks of the Luangwa River offering twice daily game drives in the national park. 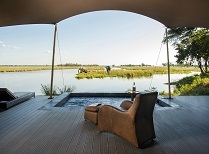 A luxury 5-tent camp in a remote part of the South Luangwa Valley specialising in walking safaris. 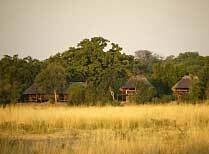 A remote walking trails camp deep in the heart of South Luangwa overlooking a huge plains area. 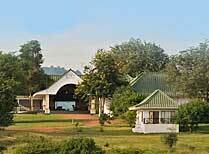 A hotel on a nature reserve 30 mins from Lusaka airport with a good range of facilities. 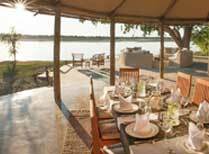 A luxury tented camp on the banks of the Zambezi River. 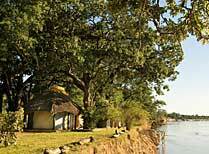 A luxury tented camp on the confluence of the Chongwe and Zambezi Rivers by Lower Zambezi National Park. 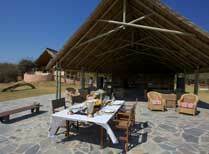 Chongwe River House is a stunning private house in Lower Zambezi, perfect for families and groups of friends. 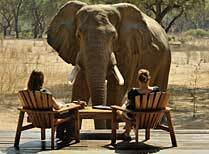 An authentic bush experience in a lovely area of Lower Zambezi National Park. 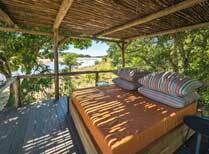 Perfectly positioned along the river with panoramic views, this intimate camp is in the heart of Lower Zambezi National Park. 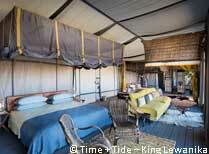 This camp in Lower Zambezi NP combines the very best game viewing with luxurious safari style touches. 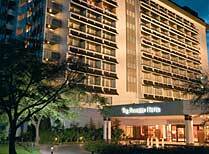 Taj Pamodzi is a luxury hotel with extensive facilities, well located for both the airport and Lusaka city centre.